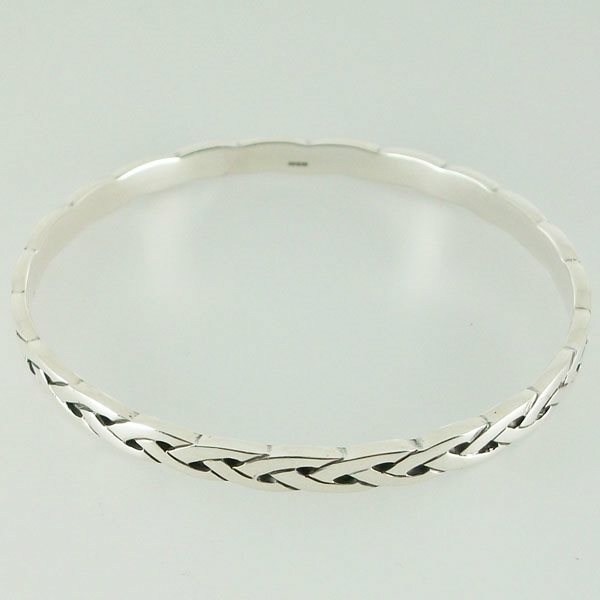 Silver celtic bangle handcrafted in the Outer Hebrides of Scotland. The bangle band is 6mm wide and is 21g in weight. Supplied with a presentation box.